Murray Richardson delivers his third release on Baker Street Recordings with the 'Memory Loss EP'. Two original tracks showcase the trademark Richardson deep, driving, tech sounds that have made him a global success and, in the words of the sadly gone iDJ, “a stalwart of the UK scene for over a decade”. Remixes come from label boss Paul Hardy and McKai and the vastly experienced Gareth Whitehead (Bulletdodge, Lost My Dog), who offers a little more main room energy. Starting his production career in 1999 with 20:20 Vision, Murray Richardson has gone on to release music with Low Pressings, Creative Music, Magnitude, Kickin Records, Nordic Trax, Sensei Recordings and featured previously on Baker Street. 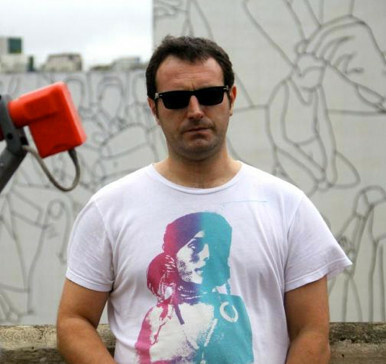 As a DJ and promoter of the renowned Rebel Waltz events, his hectic touring schedule has made him one of the most respected figures in deep and tech house circles, particularly in his homeland of Scotland and his adopted homes of Spain and Brazil. Paul Hardy is a DJ and producer who doesn’t court the limelight. He has appeared on some of the world’s most influential record labels such as 2020 Vision, .dotbleep, Lost My Dog, Undertones andDeepology and has worked with some of the world’s most respected artists including Random Factor, Brett Johnson & DJ Heather,King Cosmic, Sei A, Sasse, Jay Shepheard and Miles Maeda. He also runs Leeds-based Baker Street Recordings. His partnership with Mckai is relatively new, with outings on 1999 Recordings, 22 Digit Recordings and Baker Street in recent times. 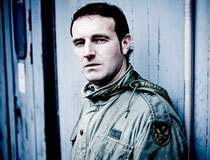 Gareth Whitehead is a respected producer, engineer, remixer, DJ and artist that has established his own signature brand of deep, dubby tech-house and minimal. As a label owner he set up techno label Edit/Select with Soma legend Anthony Scott (Percy X) and in 2007 established his own label Bulletdodge Records. Gareth has also released music on labels such as Lost My Dog, Naked Lunch Records, Parallel 125, Cubism and Safari Numerique, receiving support form the likes of Joris Voorn, Slam, Tony Rohr, Anja Schneider and Ricardo Villalobos.